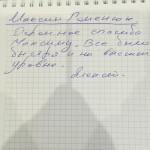 "Я, Кондратенко Николай Семенович, приношу благодарность Кременской Анастасии за качественную работу по подбору арендатора и проведение сделки по сдаче в аренду моей квартиры/ Высокий профессионализм и грамотная работа Анастасии позволяют мне рекомендовать ее, как риэлтора, своим друзьям. 26.04.2017г." I acknowledge qualification and response of Evstratov Igor in my 2 rooms flat in a rent taking in Kuntsevskaya street. He made good photos, the advertisement had been published fast and produced the very well result. I’d like to mention in the reference competent and responsible work approach of Igor Evstratov to my property putting into commission. I am grateful to his work and look forward to continuing our partnership in future. I’ll recommend him to my kith and kin. 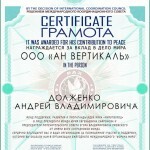 It is hereby awarded for contribution to the cause of peace “REA VERTICAL” (LLC) duly represented by Dolzhenko Andrey Vladimirovich. Development, Supporting and Public ideas campaigning Fund “Mirotvorets” duly represented by President Safonov Yuriy Evgenievich and Board of Guardians Chairman Pzhevskiy Egor Vladimirovich on behalf of all our Fund members thank you and your company sincerely for end-to-end collaboration and great support in organization of Annual International Forum of Peace. Dear Andrey Vladimirovich! Thank you for your great contribution to children sport development, for your care about young generation, for the care about physical, moral development and spiritual growth of teenagers. We wish you and your team the success in business activity, prosperity, peace and wellness. A lot of thanks to your agency for very fast leasing of our flat. Your agents’ work was done very qualitative. That day had been done several showings, renters had been chosen, and we are still absolutely enjoy them. Thank you! VESTA METAL Group of companies duly represented by Blinkov Anton Igorevich is very much appreciate having deal with “Real-Estate Agency VERTICAL” LLC for effective collaboration in commercial space choice for our office and warehouse complex. For 7 years of our collaboration “REA VERTICAL” members brightly met the targets in full conformity with property placement requests and commercial limits. We wish to VERTICAL (LLC) the success and creative power, prosperity of an undertaking, and we hope for mutually profitable business relationship. I have been working with Igor Evstratov, working as a manager of agency, for some years, and this is to inform you that I am fond of his highly professional and effective work for leasing out of my flat. All stages were completing prompt and perfectly. I confide him in this and totally trust, starting from real rate of the monthly rent to choice of lessee as a finishing. 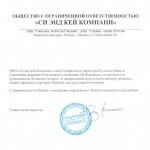 “C&K Company” (LLC) presided Kulkin Nikita Sergeevich, the General Director, express gratitude to “Vertical” company and especially to Dolzhenko Andrew as a head for professional and responsible assistance in a commercial real estate searching for office blocks and retail property for our company needs. We are convinced in our intentions to continue the cooperation with your company at any time thereafter. 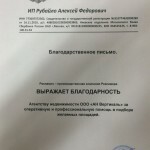 Privately Entrepreneur Rubaylo Alexey Feodorovich and advertising production company “REKLAMERA” thanks in advance “VERTICAL” real-estate agency (LLC) for prompt and professional assistance in a search of required rented space. Отзыв о работе агента Гоменюка М.В. A lot of thanks to Maxim! Everything had been done quickly and at a top professional level. We sincerely schytaem, something Constant Clients ymeyut entitled to discounts and Improvement of service quality. Become our the client not only easy, but a vыhodno. Our recommendations always rabotayut. Read the Reviews our clients.